David Bernhardt is seen here in a photo from his former lobbying firm. Brownstein Hyatt Farber Schreck LLP. Bolstered in part by new resource-related clients, Brownstein Hyatt Farber Schreck LLP reported 2018 lobbying revenues totaling $30.9 million. That marked a 19 percent increase over the reported $25.1 million in 2016, the last year of the Obama administration. The firm's 2018 lobbying revenue held second place among all lobbying firms, as tallied by the nonpartisan Center for Responsive Politics, behind the perennial powerhouse Akin Gump Strauss Hauer & Feld LLP. Akin Gump reported a 4 percent increase from 2016. "Where business, law and politics converge," Brownstein's website proclaims, adding that "Our deep experience, multidisciplinary approach and political connections deliver results." There are many reasons for Brownstein's lobbying growth, which has been steady and reflects in part the addition of tax-related clients and others outside of resource issues. But nevertheless, the value of Bernhardt's connections is likely to play a role in his Senate confirmation process as he aims for the Interior secretary seat left vacant by the departure of former honcho Ryan Zinke. Bernhardt's allies consider his prior work as seasoning, the kind of solid experience that will let him hit the ground running. "David Bernhardt is knowledgeable about the independent producers that operate on federal lands and we look forward to working with the department on new ways to continue growing our economy," said Independent Petroleum Association of America (IPAA) President and CEO Barry Russell. The IPAA was one of Bernhardt's clients while he was with the Brownstein law firm. For Bernhardt's opponents, though, this client list is a litany of conflicts (Greenwire, Dec. 17, 2018). "We intend to conduct vigorous oversight of Mr. Bernhardt's industry ties and how they may influence his policy decisions," promised Rep. Raúl Grijalva (D-Ariz.), the chairman of the House Natural Resources Committee. Bernhardt withdrew from his law firm partnership following his 2017 confirmation as deputy Interior secretary. Last year, he reported receiving a $401,579 partnership distribution from the firm for part of 2017. He previously reported receiving a $953,085 partnership distribution for all of 2016. New clients Brownstein added during the Trump administration include the Cannabis Trade Federation, Central Arizona Water Conservation District, Colorado River Energy Distributors Association, and New Mexico Oil and Gas Association, among others. Delaware North, a Buffalo, N.Y.-based company that manages national park concessions, hired Brownstein in December 2017. In September, electric utilities firm Exelon Corp. did the same. Both companies employ other lobbying firms, as well. Based in Bernhardt's home state of Colorado and well-established throughout the West, the Brownstein firm opened a Washington, D.C., office about two decades ago. Its clout-heavy staff now includes a former Republican Cabinet secretary, a former chief of staff for a GOP House speaker and an array of former top congressional staffers from both parties. The 49-year-old Bernhardt served several stints with the firm, representing a variety of clients both as lawyer and lobbyist. 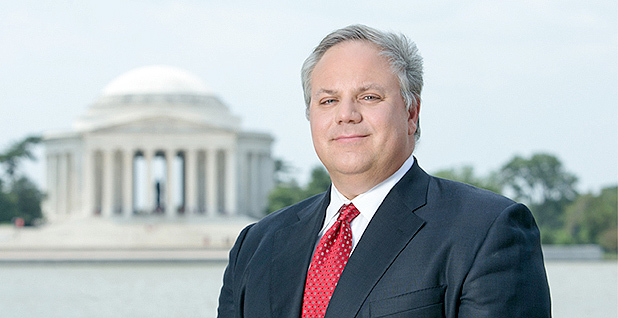 Following an earlier Interior gig during the George W. Bush administration, Bernhardt was a shareholder at the law firm from 2009 to August 2017. The George Washington University Law School graduate was also an associate at Brownstein from 1998 to 2001. "The nominee's private sector experience as a registered lobbyist for companies whose main public policy focuses are in the Department of Interior creates the appearance of a conflict of interest, and the nominee wants to help lead the department that he's tried to sue four times," Sen. Maria Cantwell (D-Wash.) said in 2017. Bernhardt, though, can point to his public ethics commitment. "For a period of one year following my withdrawal, I ... will not participate personally and substantially in any particular matter involving specific parties in which I know the firm is a party or represents a party, unless I am first authorized to participate," Bernhardt declared in May 2017, several months before his confirmation. The Brownstein firm declined to comment today.